specials: War Paint (2013), Freezing Hot (2015), Confirmed Kills (2016), and Iliza: Elder Millennial (2018). She is the creator and star of Forever 31 on Hulu as well as her late night show, Truth & Iliza, on Freeform. Iliza has appeared as a comedian several times on Late Night and The Tonight Show with Jimmy Fallon as well as the Late Late Show with James Corden, and loves entertaining the troops on USO tours. 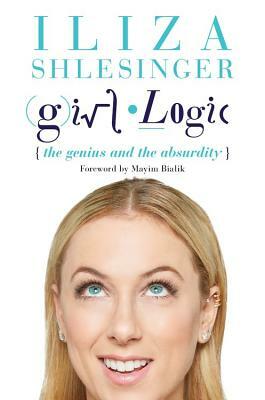 "Iliza is a fearless comedian because she is a fearless woman... She sees deeply, she thinks deeply, and she feels deeply . . [F]ind yourself in the pages of this book. Your hurt, your fear, and your loneliness will be remedied time and again with the laughter and the wisdom of a woman who will teach you to fight for your self-identification as a warrior and your destiny as a woman." —Mayim Bialik, star of CBS' "The Big Bang Theory" and NYT bestselling author of "Girling Up!" "'Iliza not only has a way with words, she also has an observational intensity that pushes those words into your brain with comedic fury." "Iliza is funny, fierce, and lightning fast, but don't let all that wit and beauty fool you - she's a feminist with the heart of a mommy, a truth teller who just wants us all to feel better so we can get what we want, dammit! She's thought long and hard about why women are so hard on themselves, and she's not afraid to say she's been there herself, which has endeared her already to millions of fans. Take my advice: take her advice. Iliza is a comedian wrapped in social critic wrapped in the good friend you need." "The takeaway messages of the book are important: cultivate confidence, develop the courage to be different, refuse catty competition with other women." "The stand-up comic expertly explores the 'secret genius of irrational behavior' in this irreverent and insightful collection."